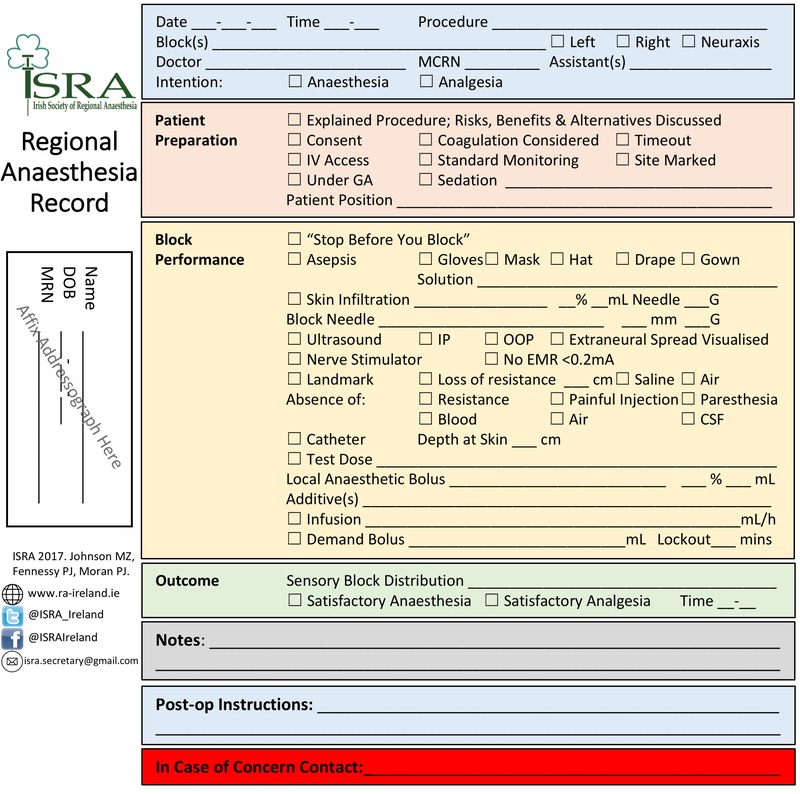 ISRA have designed and introduced a Peripheral Nerve Block Record sticker as a national quality improvement initiative. The sticker has been distributed to all anaesthesia departments across Ireland. Individuals can provide ongoing feedback via the ISRA email. The aim of our sticker is to standardise documentation across anaesthesia departments in Ireland. In addition it acts as a reminder to follow the appropriate steps in safely performing a regional anaesthetic block.